In advance of our polls for records of the year, we present Sonic Boom’s review of m b v. Pete Kember aka Sonic Boom is a founding member of British neo-psych legends Spacemen 3 and the driving creative force behind the more experimental-psych projects Spectrum and Experimental Audio Research (EAR). He has recently produced albums for acts as diverse as MGMT, Panda Bear and Moon Duo. This recommendation is taken from the Spring 2013 issue and appears as told to A.J. Samuels. I guess I’ve known Kevin Shields since around late 1986 or early 1987. We have some mutual friends and have always really got on as we’re both old school gear heads and swap info on the latest equipment discoveries—you know, band stuff. We have collaborated and toured together many times in the past, so we have bumped into each other pretty regularly over the past twenty-five years. I would say musically, our first meeting was pretty uneventful, because ’86 wasn’t my favorite period of My Bloody Valentine, a time often referred to as the “shambling” or “Anorak” phase, strangely enough. Some think it’s the greatest stuff they’ve ever done, but I wasn’t so keen on it. The band’s real awakening for me—their real change to what we know as the classic band they have become on Isn’t Anything and Loveless—happened almost overnight. If I remember correctly, in 1987 Spacemen 3 did a couple of shows with them at Dingwalls in London and then like a month or two later we did another show together and the change was really dramatic. Kevin has said in interviews that Spacemen 3 had changed the way they were doing stuff, and I witnessed that change. It was as though they had just flipped into this new mode, characterized by the sound of “You Made Me Realise”. As soon as I heard it, I knew it was an instant classic. I actually wondered if Kevin had appropriated it from elsewhere, which I don’t think he did. It just appeared fully formed so quickly and was so impressive. From 1988 onwards the band never looked back. At the time, Spacemen 3 and My Bloody Valentine were actually both supposed to be signing to Creation, a label where ten percent of the bands got great attention and the other ninety percent just floundered or got lost in the mix to varying degrees. Not so with MBV. Their first couple of EPs and B-sides are classic, and I absolutely hear Spacemen 3’s influence, like on the famous ascending line in “You Made Me Realise”. That’s definitely something we would regularly do live. I’m not sure if we’ve ever recorded it though—maybe on Sound of Confusion… But we’re not talking rip-off here. Good healthy inter-fluence. Certainly there wasn’t much music that sounded like that in those days; not much blurring of the lines and cross-fertilization between every single sub-genre like there is today. Which brings us to m b v, a record I have some mixed feelings about: I really, really like some of it, and I am looking forward to digesting it and living with it. It’s a gift I’m pleased to own. Actually, it’s one I need to own. But I imagine the things that get me excited are most likely the tracks that other people probably aren’t so crazy about. For sure, m b v is taking me to places. Special places. Places I recognize as beauty spots immediately, but I need time to really explore fairly and fully. Actually, I like listening to the album backwards: songs like “wonder 2” or “nothing is” appear to be the biggest jump forward from Loveless, which is what I had been anticipating before I had my first listen. This also goes for the organ and synth—or is it no synths Metal Machine style?—on “is this and yes”, with the band exploring a different kind of warble; a continent they discovered and have not yet seen their flag removed from or improved on. On the whole, I would say that with the rest of the tracks there’s nothing less than classic My Bloody Valentine. Sometimes the drums sound like they’re being played a couple of houses away, the bass is in the next town, and you’re sitting in the room with Kevin playing guitar and singing together with Bilinda Butcher, the mix dislocated, but consciously so in a style similar to Loveless. They definitely do an interesting job of morphing their vocals together, at one point sounding angelically unisex, but the album certainly isn’t as blurred and indistinct as you might have expected. Perhaps on some tracks I feel like I’m hearing something they should have put out right after Loveless. Back then it would have been a stroke of genius. 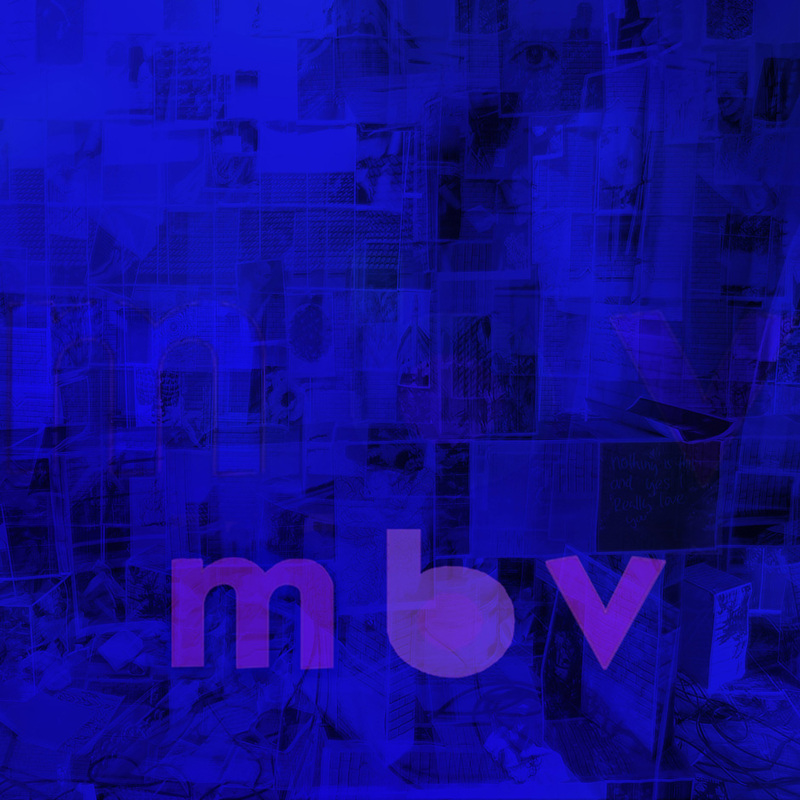 My Bloody Valentine’s m b v is out now via m b v. This text first appeared first in Electronic Beats Magazine N° 33 (1, 2013). Read the full issue on issuu.com or in the embed below.